Warm greetings from the Land of Smiles! 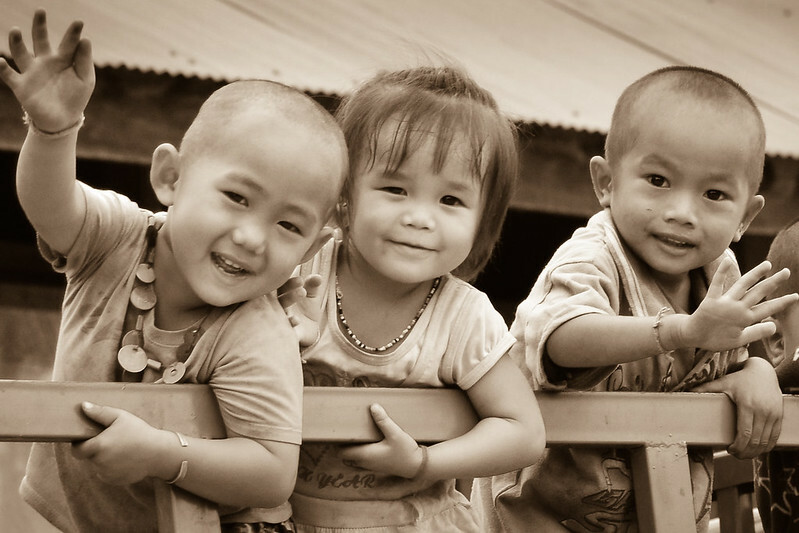 We love Laos. This is where we met way back in 1996 and the country will always hold a special place in our hearts. Much has changed since we backpacked there in the mid-90’s. Back then there was no tourist trail. 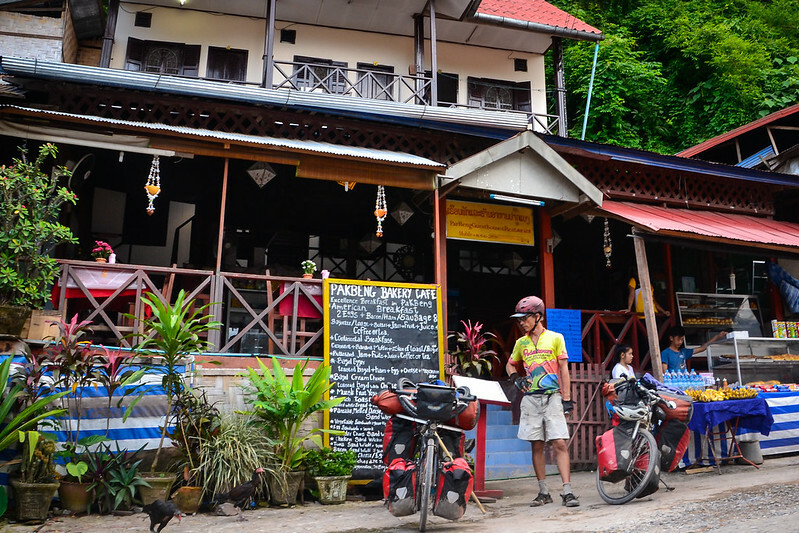 A few backpacker friendly guesthouses were popping up in Luang Prabang but that was pretty much the extent of the tourist scene. Boy, have things changed. Even the tiniest off-the-beaten-track town now has a guesthouse. Menus are in English, Wifi is on offer all over the place and in some spots (Pak Beng , for example) foreigners seem to outnumber the locals. When we arrived (exhausted after a series of KILLER hills all the way from the Thai border) the town was quiet and not a foreigner in sight. A few hours later the tourist boats pulled up and disgorged hundreds of boisterous backpackers. The hordes of foreigners mean bakeries have sprung up and there’s even a (quite good) Indian restaurant. The tourist trail does bring benefits. Luckily the locals have taken all the outside influences in stride. They are just as friendly and welcoming as we recall from our first trip almost two decades back. 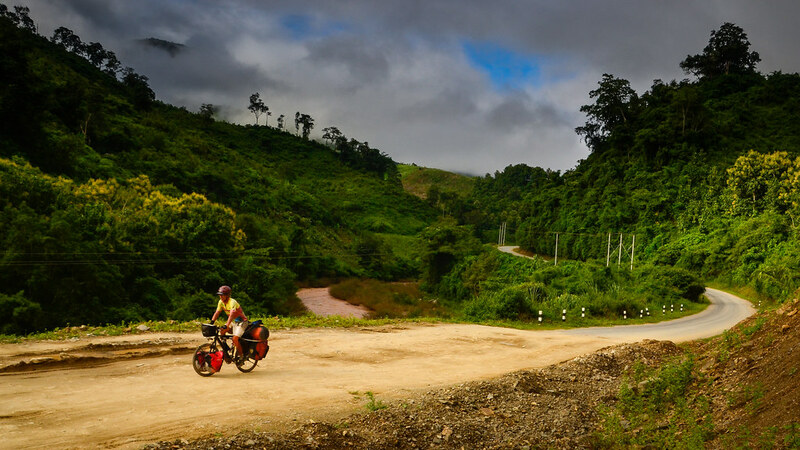 This was our second cycling trip to Laos, but still we could have easily lingered for weeks exploring some of the lesser-known roads. But with summer winding down, our thoughts turned to the Tibetan plateau. In Kuala Lumpur we’d managed to finagle 90-day visas for China. This is exceptionally good. Some travelers are flat out denied visas for China and often all the authorities authorize is a month’s visit. 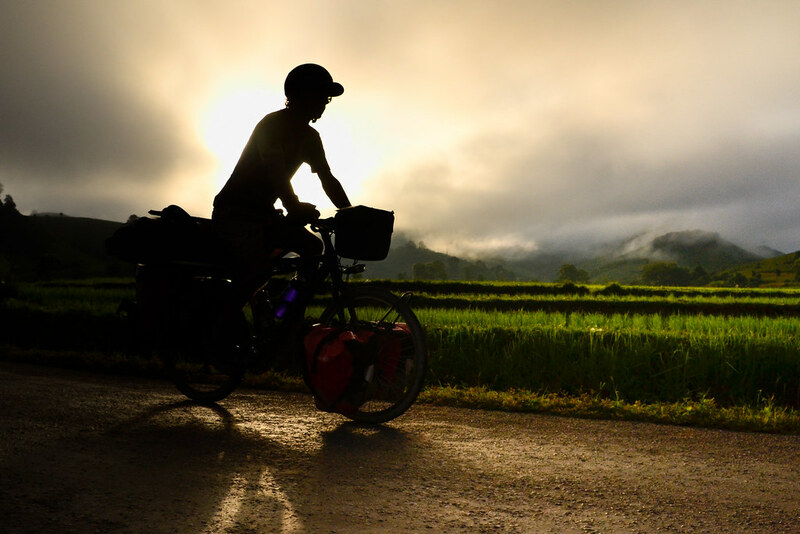 Although Tibet is currently off-limits to those without a state-authorized guide, we can cycle the neighboring regions which are still part of the Tibetan plateau. 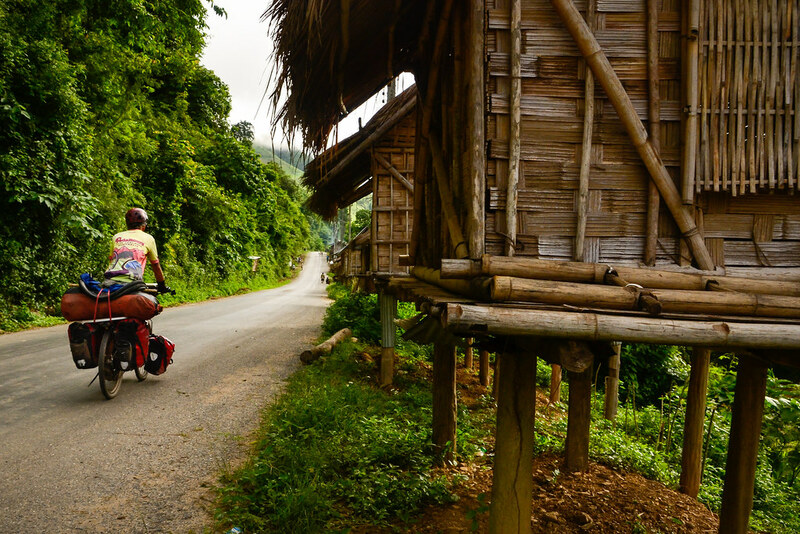 And that’s why we whizzed through Laos. We don’t fancy fighting a blizzard at 4,000 meters in mid-November. We actually crossed into China almost a week ago and are making our way through Yunnan province heading to Sichuan and Qinghai. 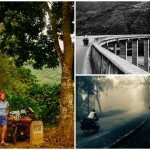 Here are a few images from our time in Laos. More from China (which we love) later. Endless hills! The ones near the Thai border were the absolute worst. After that the grade lessened and we could actually breathe easy and enjoy the scenery. Temple camping on our first night in Laos. This didn’t actually last long because the police showed up and insisted we move to a guesthouse (for our own safety). The monks had welcomed us warmly but I guess the authorities had other ideas about what kind of conduct is appropriate for foreigners. 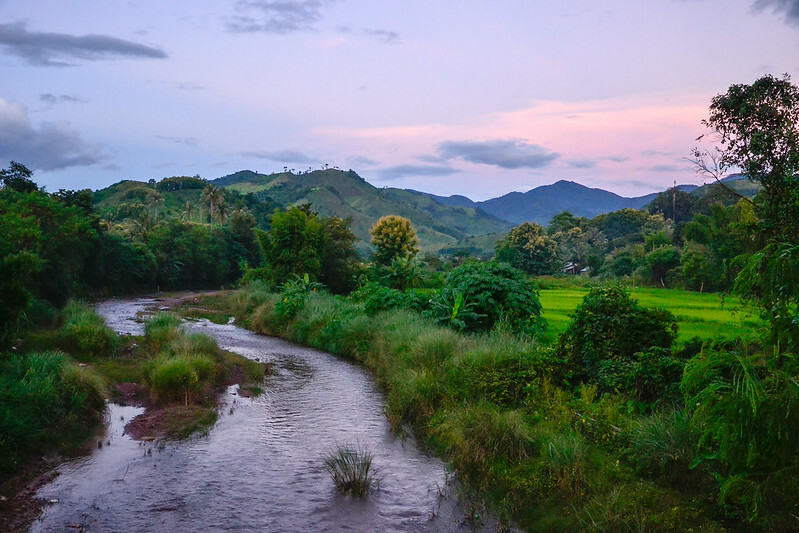 Laos is a stunningly beautiful country. We had dinner at this pretty little spot by the river and enjoyed the soft colors of sunset. 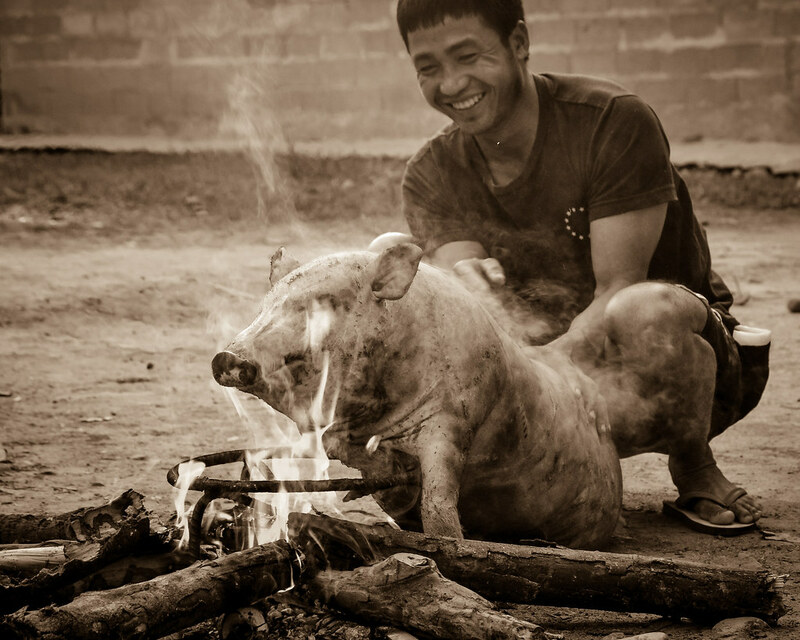 A backyard barbecue, Lao style! These are the typical village dwellings. Not the sturdiest homes and not always waterproof in the rainy season. 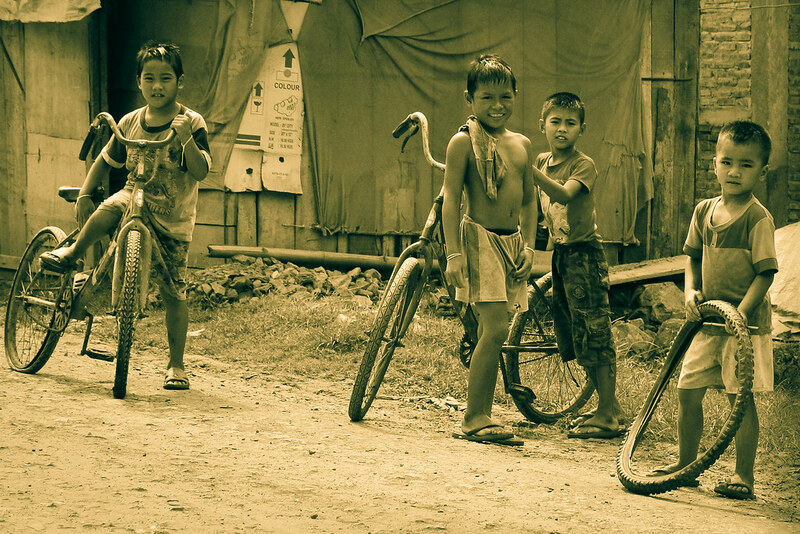 Village life is not always easy and the lack of development is glaring coming from comfortable and relatively prosperous Thailand. 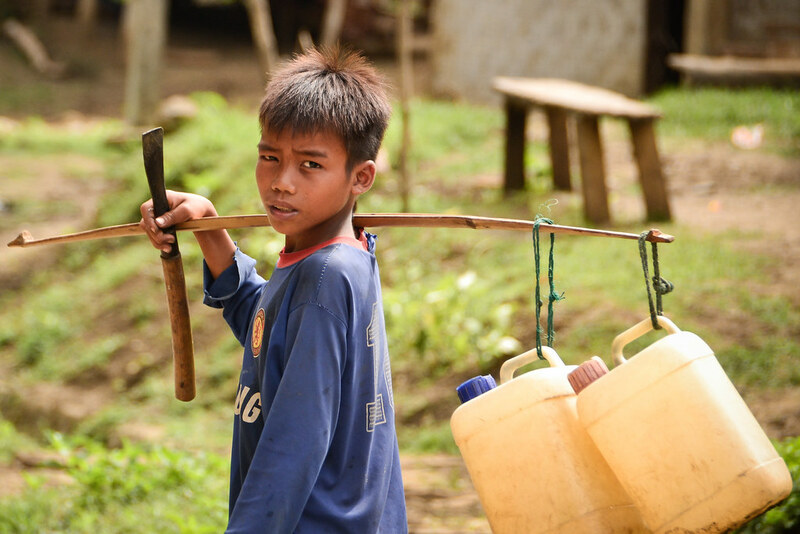 Each village has a few water taps and children and women queue up to fill containers. Hard at work. 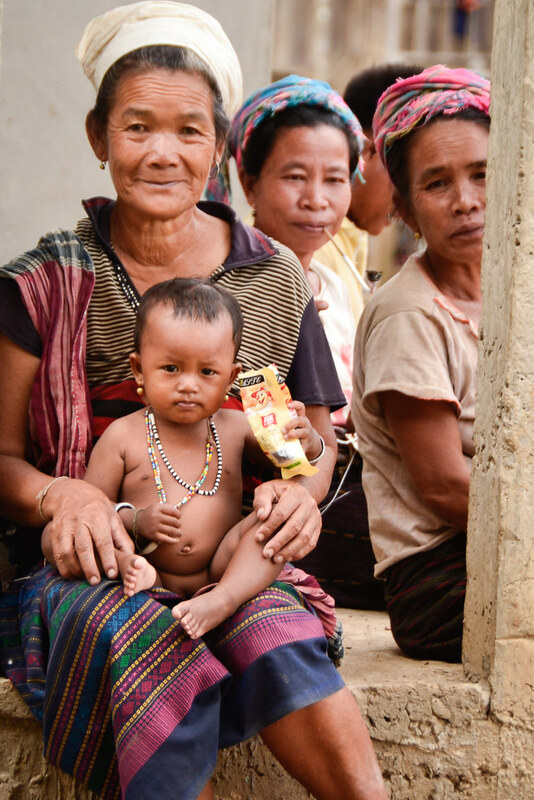 Hopefully, tourist dollars will bring more development to the hill tribes and her life will soon be a tiny bit easier. 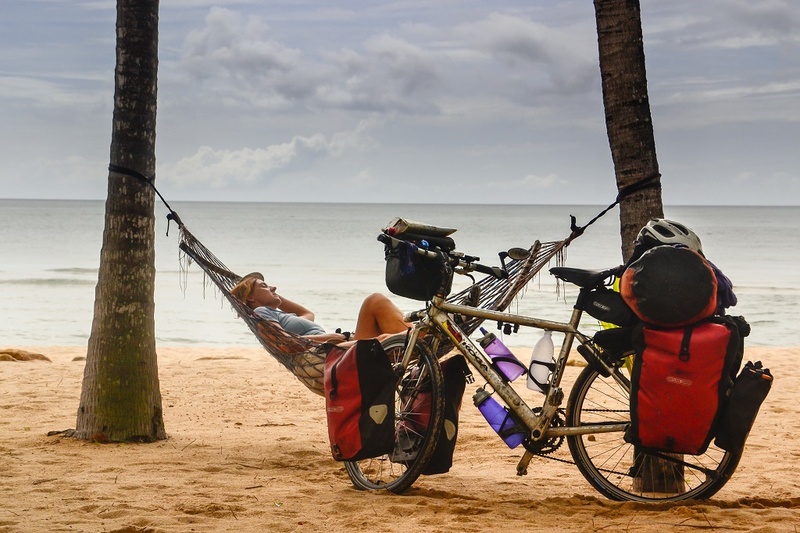 Of course, it’s not all work and no fun! 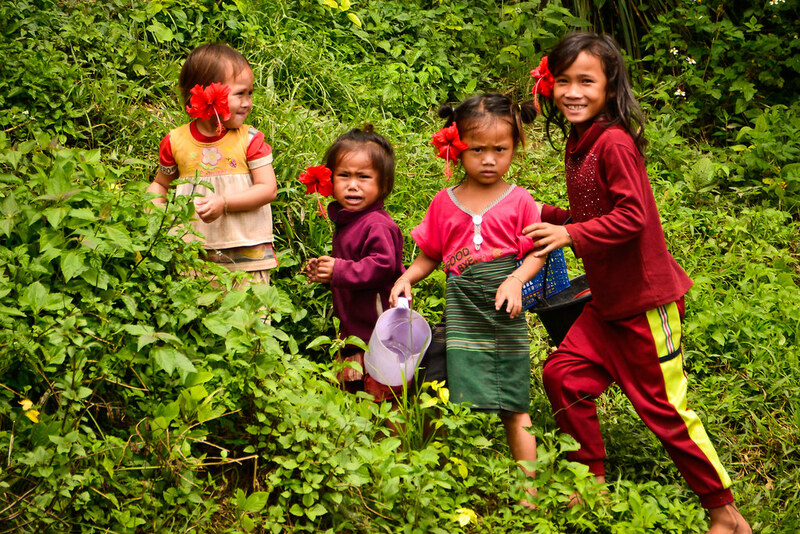 In fact, kids in Laos often seem to be having a blast with very little in the way of ‘toys’. 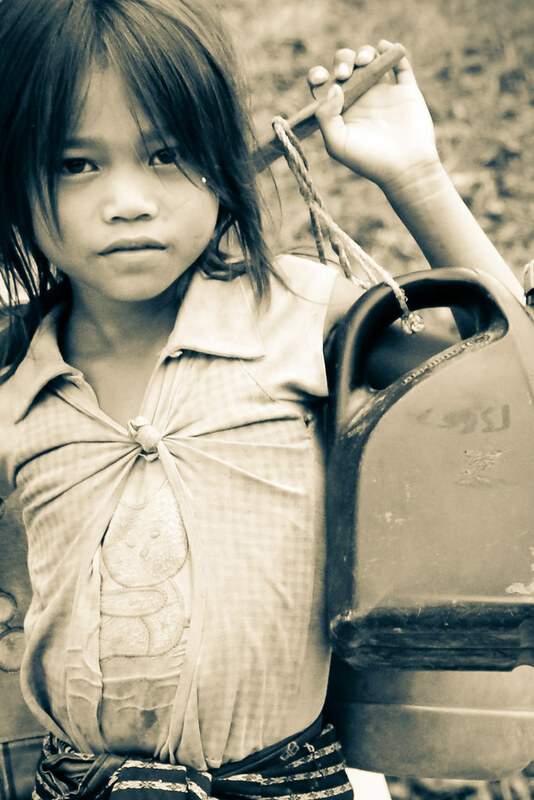 These girls were fetching water AND having fun. Well, maybe not the youngest sister who appeared to be rather frightened of the odd foreigners on bikes. 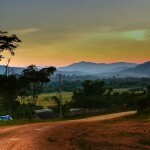 As always in the tropics, sunrise is the absolute best time to be on the road. 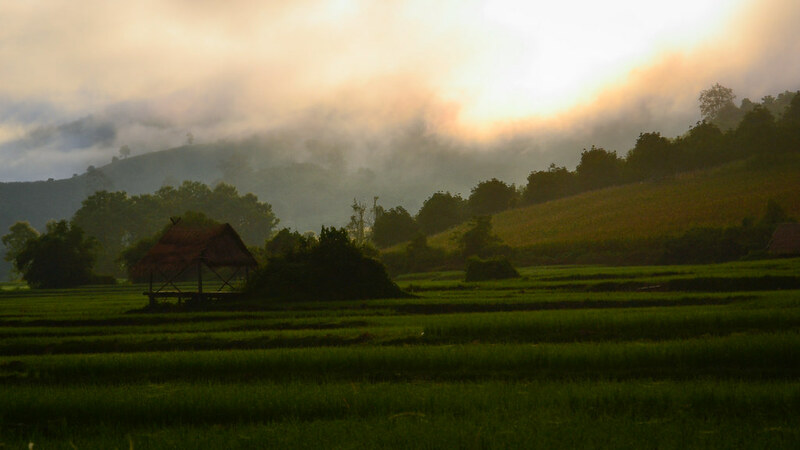 Rice paddies cover much of the country and corn fields take over at higher elevations. We will never tire of daybreak on the bike. 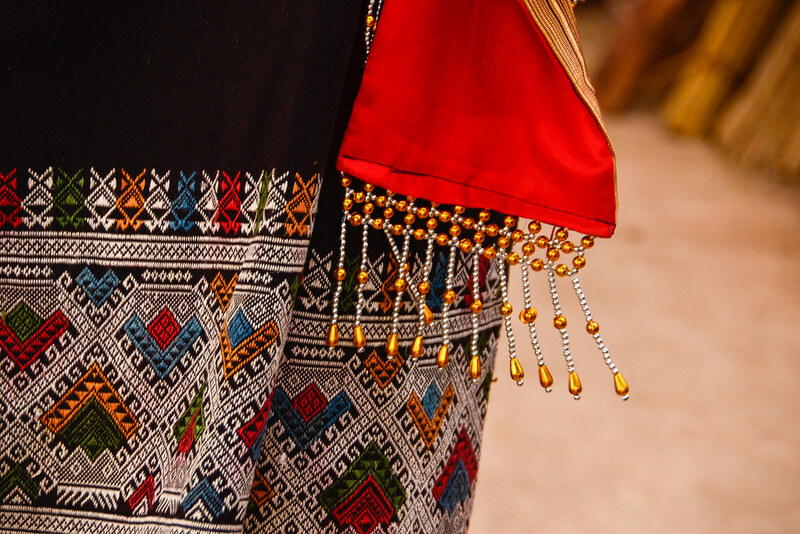 Women still sport the colorful traditional dress. Late afternoon everybody heads to the river to take a bath or just splash around. Women wash clothes and gossip. Grandmothers look after the kids while parents work the fields. 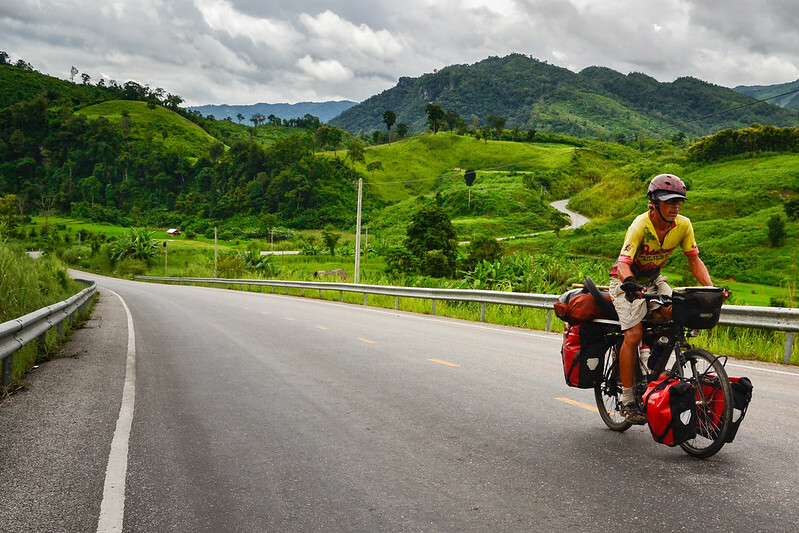 We would have liked to spend more time winding our way through Laos but winter is on its way and China calls! 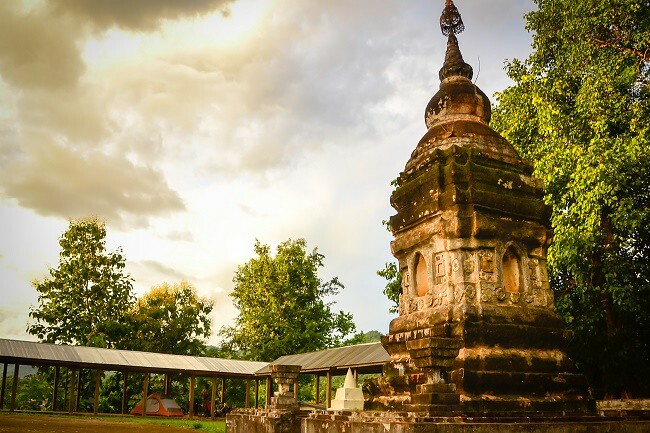 Hi you…..greetings to China….wow nice pictures of Laos…..looks amazing….!!! !